Python? Data Science? Machine Learning? Curious about data science with python but don’t have time for a 500-page book or time-consuming course? This time-saving summary book is for you. 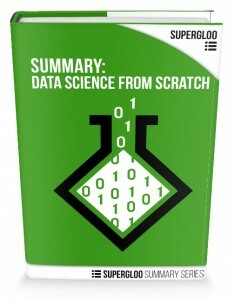 “Summary: Data Science from Scratch” is the curated summary of the best-selling book by Joel Grus from O’Reilly Media. This summary guide is ideal for software engineers or managers who need a concise overview of data science with python principles quickly. A compact summary of the “Data Science from Scratch” in a fast, convenient format. Saves your time from re-reading the 500+ page book to re-absorb, remember and categorize concepts. Everything has been organized for you.